Long time no talk! Life is so crazy right now. I did not expect joining a sorority would require so much time, but it’s so fun! The last two weeks were test and essay week and it was so stressful, but guess what! I got an A on all of my exams, I’m starting this year off right :) If you’re in school, do you guys have weeks where you won’t have any tests or essays due and then all of a sudden in the same week you’ll have a bunch of tests and essays due? That’s what happens here. I need to get better at time management, maybe I’ll make a post about it so I can get myself in check. Well, anyway, let’s not babble on for forever. I am back today with a review of Cinder by Marissa Meyer. 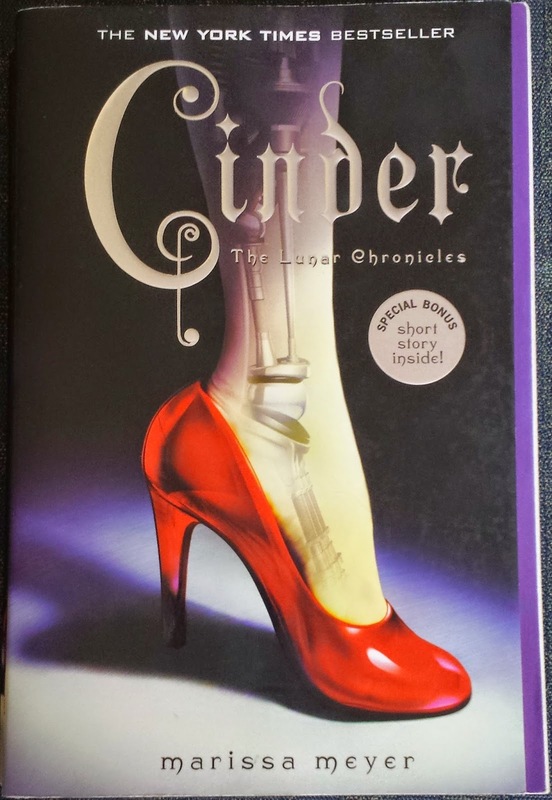 Summary: Cinder by Marissa Meyer, is a book based on the Disney fairy-tale Cinderella set in a future, New China. The main character, Cinder, is a cyborg, a race that is discriminated against who works as a mechanic to help make money to support her step mother and two step sisters. Like Cinderella, the step father takes in an adoptive daughter and dies leaving the step mother to take care of this unwanted child. 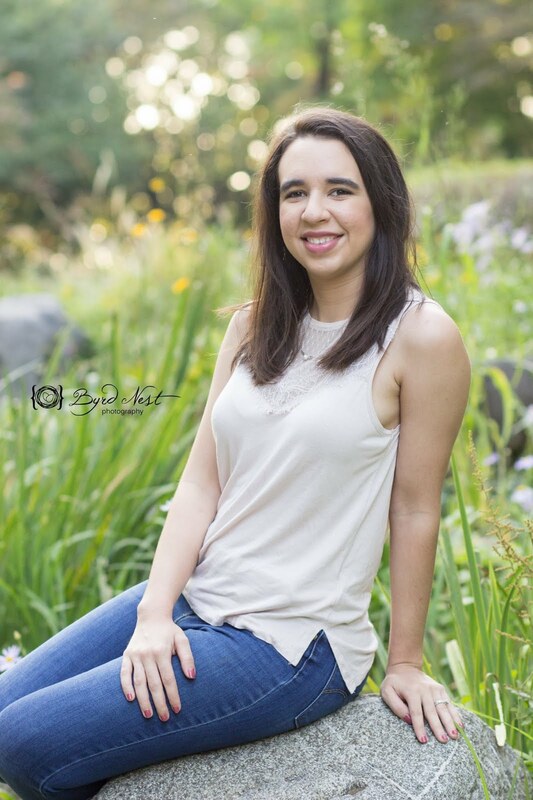 There are many similarities to the Disney Cinderella fairytale, but there are differences that I think will come into play when the author ties all of the stories together to help fight the Lunars. This is also a utopian/dystopian style novel, where we are in a future that’s supposed to be grand after a war but there are still kinks that need to be worked out. My thoughts: It was good but not amazing. I didn’t have that high of expectations so I wasn’t that disappointed in the novel. I am excited to see how the author ties all the books together but I’m not in a hurry to read the next ones. (I don’t binge read series. I’ll read a book in a series, buy the next one if it’s in paperback and then wait to read it until the next book is out in paperback. Does anyone else do something similar?) I did like how the book was loosely based on Cinderella, it wasn’t an exact replica but you could pick out themes from Cinderella. I wonder if the other books in the series will be in the same city or if they will be different…hmm. Recommend: Yes, although I didn't think it was amazing, I do think it was a good, easy read. Being so busy with school, reading something that is quick and easy is nice to have sometimes. I also think that if you like futuristic novels, this might also be a good read for you; as well as if you like to read different versions of fairytales. Utopian/dystopian books are really popular these days and this novel would also go into that genre, so if you like those style books you may also like this book. Have you guy’s read this book? What are your thoughts? Cinderalla and cyborg ... two words that I never imagined to ever be in the same sentence. Haha sounds like an interesting read!